Long Island Elite has been providing excellent custom services to their clients for over 40 years. Our reputation is as one of the premiere area professional landscaping service providers for people throughout Suffolk County. As a full service landscape company, Long Island Elite can service every one of your needs from stoop construction to walkways to extensive landscaping projects. 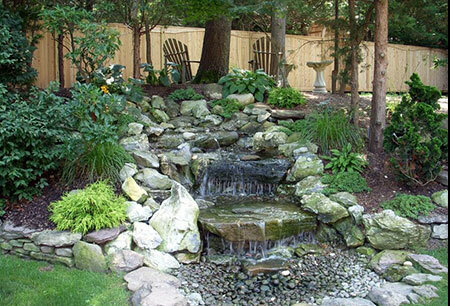 We are your one-stop location for all areas such as retaining wall construction, waterfall landscape design, pond landscaping, patios, and commercial hardscaping. Located in Rocky Point, our service area extends to home and business owners throughout Suffolk County. Contact us today and one of our knowledgeable staff members will be glad to assist you.